When solar PV systems are mentioned people are polarised into two camps. They either believe in the technology and the savings it can bring to their household costs, or they think it is a total waste of money. My view is that far too many people do not understand the technology and listen to the negativity extolled by the power industry. Just like a good kitchen or bathroom, it will be an asset on your house when it comes to resale. In some scenarios, solar is the only viable way power devices. So, let us look at the markets. 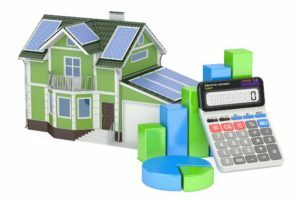 Should you put a Solar PV System on your house? The answer is yes if you can answer a couple of simple questions. Do you have a good-sized roof area that faces north? If you have an area of around 202m then we can get 12 modules in place which will produce at least 3kW of power at peak times. Secondly, can you use all the power you produce during the day? The simple answer is of course you can. It is all about changing you habits or routines. Put the dishwasher and washing machine on timer and run them during the day. Remember, your fridge, freezer and other small appliances are running all day every day. And there is no point thinking of selling your power produced back to the grid because they do not pay enough to make this worthwhile. The rule is, use what you produce! And remember your house may be empty during the day, 5 days a week, but for 2 days of the week you are generally at home all day! We have five major electricity generators in NZ, who are also electricity retailers. Yes, there are some smaller players in the retailer market but it is the big generators who back up the negative news around solar power and grumble about who pays for the lines maintenance etc. Hey, we all know it is all about their decreasing revenue stream. But when it comes to the talk around electric cars and how this will solve all of the New Zealand’s energy issues who are the major backers? Need I say more? Anyway this is another story so I won’t digress from the subject at hand. 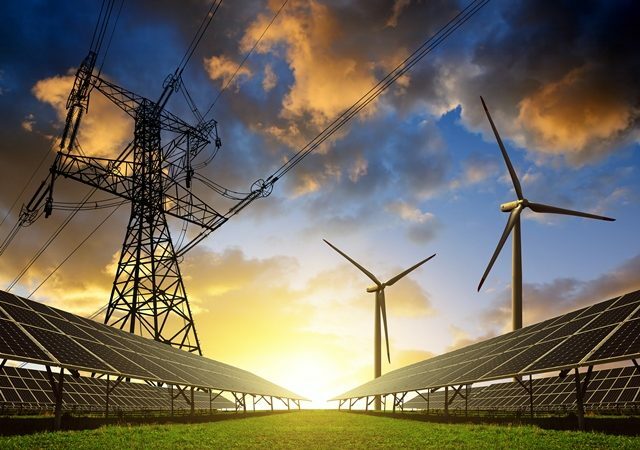 The government’s direction, via the National Policy Statement, recognises the importance of renewable energy and will help New Zealand achieve the Government’s target of 90 per cent of electricity from renewable sources by 2025. And one of the main ways of doing this is to move to solar power generation. Yes, there are other solutions out there such as wind and hydro but solar is a passive solution and the ultra violet light is a constant every day. And when it comes to sun hours per day some of our towns and cities are right up there with other major locations in the world. Anyway, if you were looking to install a solar PV system then you should look at a 3kW system, as this will suit the needs of most consumers. The following information came from a real time household of 4 people. Their power bills were broken down into usable information that most people will understand. Their dearest bill over the 12 month period was $617.42 and cheapest bill was $243.75. Their average bill over the 12 month period was $347.08 per month. This equated to 1448.73 kwh/units per month at an average of $0.239 per unit. If you were looking to install a solar PV system then you should look at a 3kW system, as this will suit the needs of most consumers. The following information came from a real time household of 4 people. Their power bills were broken down into usable information that most people will understand. Their dearest bill over the 12 month period was $617.42 and cheapest bill was $243.75. Their average bill over the 12 month period was $347.08 per month. This equated to 1448.73 kwh/units per month at an average of $0.239 per unit. Now if we work on the industry standard calculation of 3.42 peak sun hours per day x a 3kW system = 10.26 kWh/units of power will be generated on average each day. Obviously more power will be produced in the summer than winter but don’t discount our crisp clear skies in the winter as solar modules work best at lower temperatures. So 10.26kWh’s per day x 365 days = 3,745kWh per year produced. If we used the national average of $0.25 per kWh to buy x 3,745 kWh = $936.25 savings per year. So a 3.0kW system installed in New Zealand will cost you around $9,000.00 inclusive of GST. So from the above savings you will have a 10% return on investment. How many people who have rental properties can say they are getting a 10% return on investment? More likely 5% currently! And what return on investment does the power authorities offer you? They put your power price up every year. So take control of your own destiny. This covers of multitude of opportunities. From holiday homes, lifestyle blocks, on farm buildings, or generally in location where it is way more cost effective than laying a power cable over a long distance. People think that batteries are expensive and will come down in price further over time. Maybe, but while you are procrastinating the price of power keeps going up. People think of Elon Musk as the messiah but he is only one of many key players out there in the solar and battery market. Listen to the right people, and do your own research. Some key opportunities are around rural businesses that need power for lighting and small appliance operation. Pumps, cameras, frost turbines, radio equipment etc. All you need are the solar modules, charge controller, batteries and in some instances a pure sine wave inverter. Talk to someone who understands your needs and who can do a design and build based on your requirements. You don’t need to go to much expense to find a solution for your needs. If you just need a good source of light in an outbuilding or shed then look no further than the MightyLite Solar Flood. It comes in 2 sizes, 16W@1200 lumens and 28W@2000 lumens. They come with a remote control and are both dimmable and switchable, and have 15 additional programmable control functions. Mount the small solar module where it can be exposed to the direct sunlight and you are away. The lithium-ion battery will be kept charged so the light can be used in dark areas both day and night. Power management control is built in, so will maximise the duration of operation at night. Regardless of sunlight hours charging, the digital control determines the battery charge level and adjusts the power output accordingly.